Tokso is out with a brand new album! Cor Amant is ready for ordering now. As Tokso celebrate their 10 year anniversary, they release their new album Fyrsta morning - Music for Voluspá. The music of the album is inspired by the Norse creation myth Voluspá, and the album is released on Norwegian label Heilo Grappa Musikkforlag. 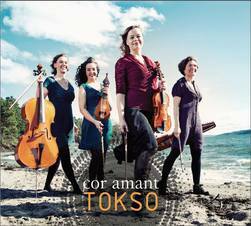 Cor Amant was recorded in October 2013 at Acces Digital Studios in Rouen, France, and released in 2014. Le second album, "Cor Amant" a été enregistré en Octobre 2013 à Rouen, au studio Accès Digital. Tokso's first album was self released in 2011. 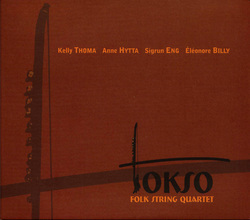 The album consists of 7 pieces by the Tokso members. Le premier album de Tokso est sorti en 2011. ll contient 7 morceaux composés par les membres de Tokso. Vous pouvez acheter l'album ici ou le commander par mail.